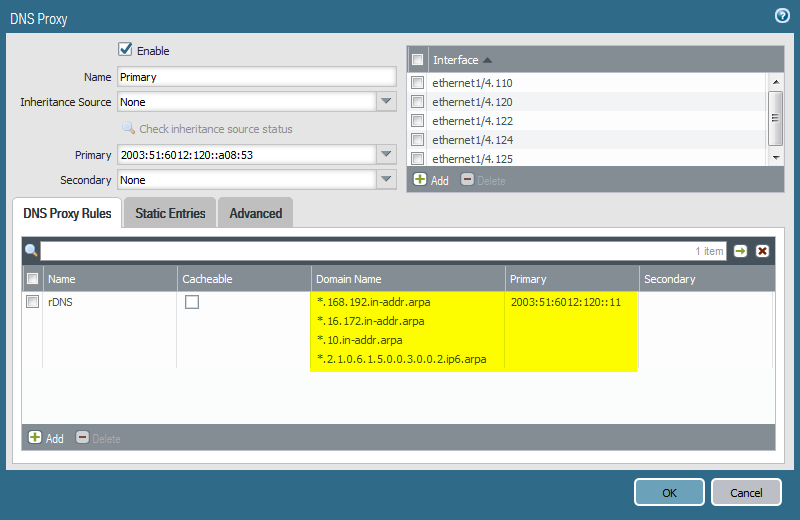 I am using the DNS Proxy on a Palo Alto Networks firewall for some user subnets. Beside the default/primary DNS server it can be configured with proxy rules (sometimes called conditional forwarding) which I am using for reverse DNS lookups, i.e., PTR records, that are answered by a BIND DNS server. While it is easy and well-known to configure the legacy IP (IPv4) reverse records, the IPv6 ones are slightly more difficult. Fortunately there are some good tools on the Internet to help reversing IPv6 addresses. I am using a PA-200 with PAN-OS 7.1.2. The BIND server runs on a Ubuntu 12.04.5 LTS with BIND version 9.8.1-P1. For some general information about DNS reverse lookups, use this Wikipedia article. 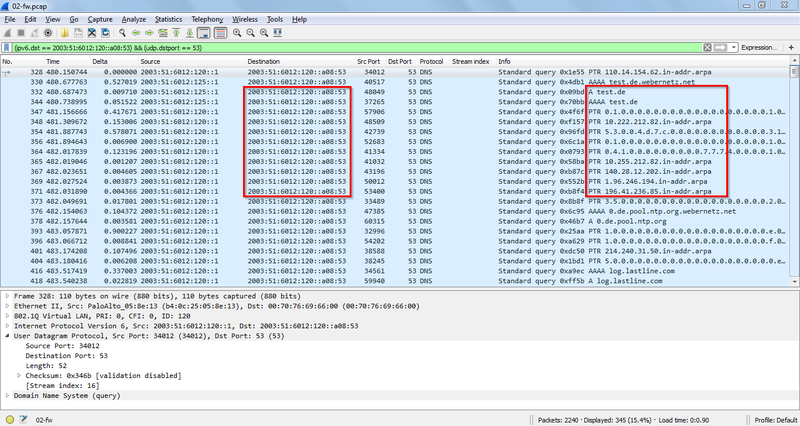 Similar for the notation of IPv6 address in the DNS. 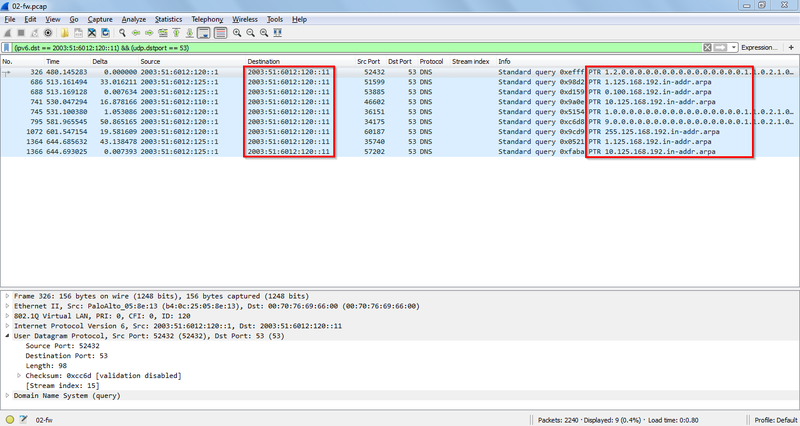 This is the configuration of my DNS Proxy with one proxy rule for the reverse lookups. 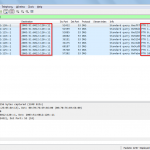 Note that the connections from the Palo Alto to the DNS servers are established via IPv6 though the bulk of DNS lookups is still IPv4 (A records). These are the four “domain names” I configured. The first three are the well-known legacy IP reverse zones (RFC1918) while the last one is my /48 global unicast IPv6 subnet. Now all DNS queries are primarily sent to DNS server at 2003:51:6012:120::a08:53, while the reverse DNS (rDNS) lookups are sent to 2003:51:6012:120::11. 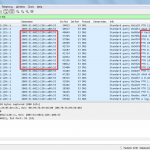 DNS queries from the DNS Proxy to the primary DNS server. Queries to the reverse DNS server with only certain PTR records. For more information about the DNS proxy use this Palo Alto Networks article: How to Configure DNS Proxy on a Palo Alto Networks Firewall. Featured image “Unklar” by 5auge is licensed under CC BY-NC-ND 2.0.